It’s hard to understand. Maybe some people just don’t think the law applies to them, or they don’t believe that California judges mean what they say. Orange County sheriff’s deputies cited four people in August as authorities staked out the Newport Beach courthouse looking for people trying to drive after DUI-related license suspensions. Deputies followed fifteen suspects from their hearings in Orange County Superior Court to the parking lot, according to the Sheriff’s Department. Those who were followed had already been warned not to drive. Nevertheless, four drivers allegedly got into cars and drove off as soon as they left the courthouse. They were ticketed and their vehicles were impounded. The four defendants now face higher fines, possible jail time, and longer driver’s license suspensions. This happens more than you might think. In June, the Orange County Sheriff’s Department conducted the very same operation at the very same location, and they made eight citations. 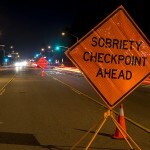 If you’re charged with DWI in Orange County, you must take it seriously. Contact an experienced Orange County DUI defense attorney as quickly as you can after a DWI arrest, and follow that attorney’s advice. 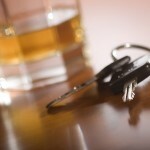 To be convicted of DWI, the state must prove your guilt beyond a reasonable doubt, and if you are convicted, the judge has a number of penalties available – and will not hesitate to impose them. Any failure to adhere to the terms of your sentence means additional penalties. Don’t make your life even harder. Unless the evidence against you is overwhelming and conclusive, in many cases a good DWI attorney can raise enough doubt about your guilt to have the charge reduced or dismissed. 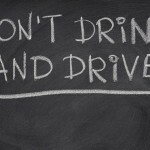 But while your DWI case is pending, it’s imperative to obey the law. If your license is suspended by the Department of Motor Vehicles (DMV) prior to your criminal DUI case, don’t drive – period. If you contact an experienced Orange County DWI defense attorney immediately after a DUI arrest, that attorney may even be able to help you retain your license, but a hearing with the DMV must be requested within ten days of the arrest. To reiterate, if you’re accused of DUI, don’t break any other laws, and contact an experienced Orange County DWI defense attorney to discuss your case as quickly as possible.